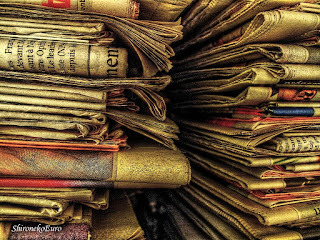 As a paranormal researcher and the Historic Research Manager for Huntington Paranormal Investigations and Research, I have discovered that one of the absolute best sources of information comes in the form of newspaper archives! I have spent countless hours hunched over the microfiche machines at the Cabell County Public Library, looking up obituaries, news coverage of disasters, and other articles of interest. Even advertisements can offer useful information about daily life. Many times I'll be looking for one thing, and stumble upon an article or photograph pertaining to another local haunting or interesting story! I'm lucky that I live relatively close to the library and can usually find the time to visit a few times a month, since these archives are not yet digitally available off-site. But what if you're NOT able to visit these archives regularly...or are researching a topic or location from another area? 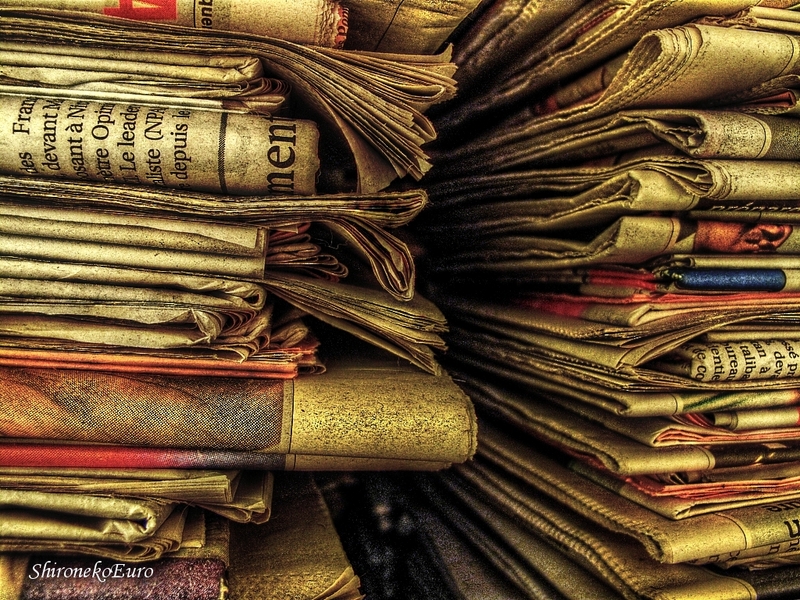 If the internet is your only option for research, there are some pretty awesome newspaper archive services out there...but they come at a fairly hefty price, usually available through monthly, 3-month, 6-month and yearly subscriptions. However, if this is a service you find yourself using often, it might be well worth it---saving on travel expenses and the ability to research topics at your leisure and from your own computer (and printer) are excellent reasons to consider a subscription service. Most also offer a free 30 day free trial---so you can do some major research on a variety of topics all at once and then cancel! Newspapers.com is my personal favorite and is running a reduced price on yearly subscriptions this month. The options above are great and all, but here at Theresa's Haunted History, I'm always looking for resources that are completely FREE! Below I've compiled a short list of free online newspaper resources that I have personally used in my own research. Do you know of any other FREE newspaper resources, especially those pertaining to the tri-state area of West Virginia, Ohio and Kentucky? If so, please join me over on Facebook and let us know! Chronicling America: The Library of Congress has digitized a great number of newspapers from across the country. While obviously not ALL newspapers are represented, there are plenty of examples from West Virginia, Kentucky and Ohio. Unfortunately, the archive only dates between 1836 and 1922. Still, there is some great information to be found, and the search options are very user-friendly. Just doing a little exploring, I found some interesting articles about both the WV State Penitentiary at Moundsville and the Trans-Allegheny Lunatic Asylum. GenDisasters: GenDisasters is a collection of newspaper articles about different disasters transcribed by volunteers from across the country. By searching by state, disaster, year or even keyword, you'll gain access to different tragedies such as fires, explosions, train derailments, etc. I have been a volunteer transcriber for several years now and have added a number of Huntington, WV area articles. Google News Archive: I have mixed feelings about the Google News archives. There are different ways of maximizing your search results using this feature, but quite honestly, I've found that the easiest thing to do is do a regular Google search for whatever you're looking for and see if any newspaper stories are included in the search results. The big problem is, however, is that the newspapers aren't transcribed by a human--they are digitally translated using a software program. This results in a LOT of mispellings---to the point where its almost impossible to actually read what is being said. Plus, you generally cannot read from the actual newspaper image itself---just the text box below, which is all running together. Still, I've had some measure of success and at the very least, have found out critical dates of events so that I can narrow down the search parameters on the microfiche and find out what the local papers have to say. The Glenville Mercury: Glenville State College in Glenville, WV, which began as a Normal School, has digitized their school newspaper! Archives go from December 1929 to July 2000 and while the content may be a little more geared to local and college interests, there's some interesting stuff in there if you look hard enough. Are you looking for MORE FREE STUFF?